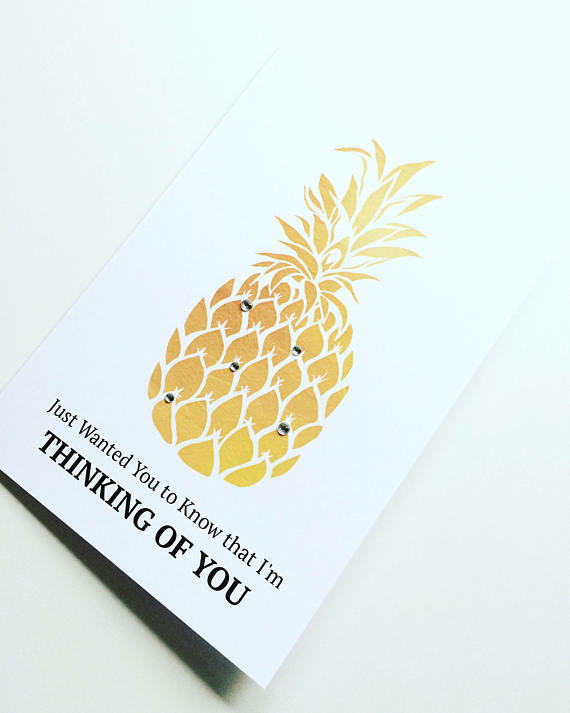 To be honest, all you need to do to make someone feel loved and supported when going through IVF is to send a card. It tells them that you are thinking of them and that you care. Alternatively, going out for a one on one cuppa where you ask how they are getting on followed by a big bear bug is equally as good. 1. Are they open about IVF? 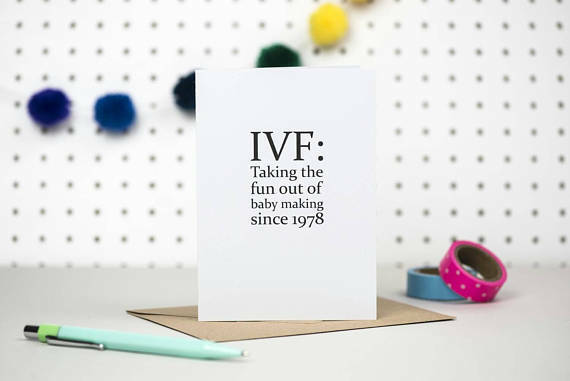 If they are a little reserved and would prefer the cleaner, cat sitter, builder, neighbour not to know, then a card that makes specific reference to IVF may not be the best route. Your carefully chosen card may be momentarily appreciated before being immediately stored in a drawer, never to grace the mantlepiece. If they are brazen about IVF, like me, then go for it. 2. Be careful about being TOO positive. Positivity and wishing them luck is the name of the game, but too much positivity can seem like pressure. 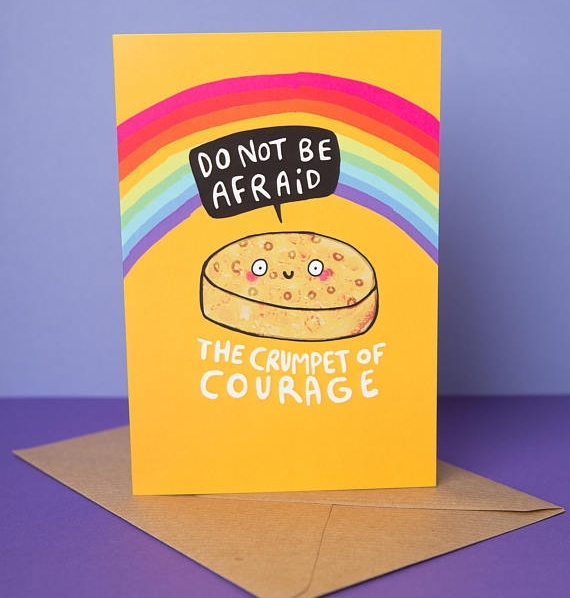 If I had received a card before starting IVF that said “You’ll make the best parents!”, or “Hip Hip Horray, Transfer Day!” my instant reaction would be ‘hold your horses, we aren’t anywhere near there yet’. As exciting as IVF is, it is always accompanied by oodles of trepidation for the couple going through it, doubt that it will work, that eggs will be retrieved, that an embryo transfer will happen, that it will end in a positive result. So probably best not to send a ‘yay, you get your baby now’ style of card. 3. Are you sure about cutting humour? 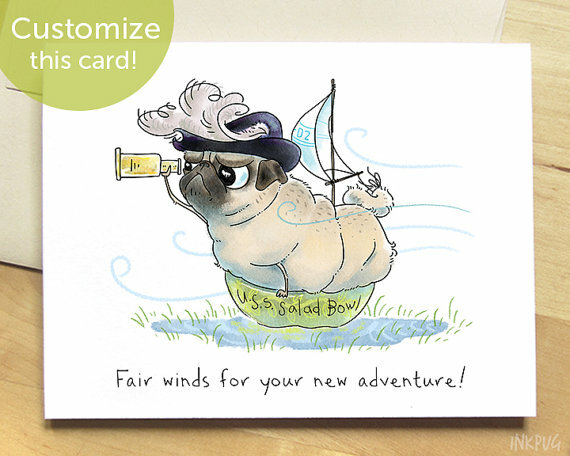 A funny card brings a smile and a smile is what we want, but unless you absolutely know that they will take it in good jest (bearing in mind they may be a senstive Sally and should come with handling instructions) best to steer clear of any cards that take the p*ss out of IVF or infertility, just in case. A couple of the cards above fall in to this category of potentially sensitive and should be sent with caution. 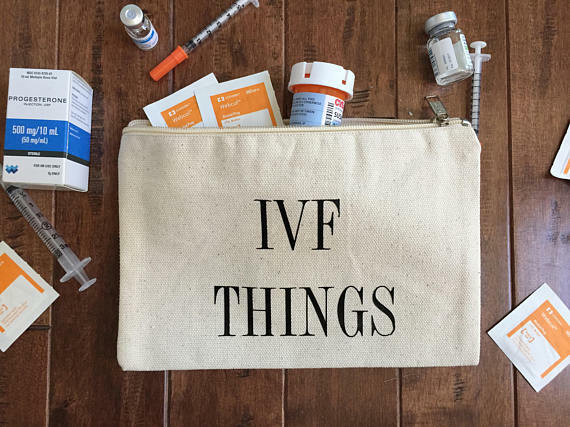 Not everyone will need a carry case for their IVF drugs as, like me, they may only ever take their jabs at home. But this cute canvas bag is perfect for those who need to medicate on the go. 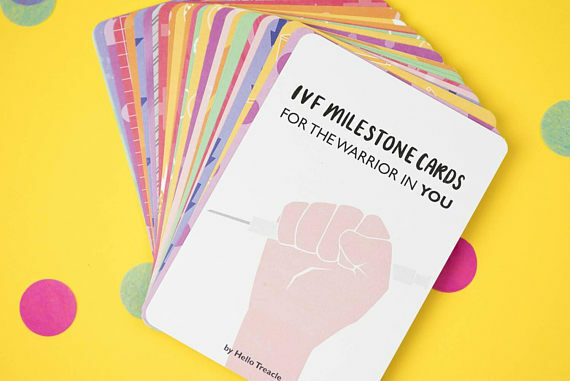 Enable progress to be ticked off with these bright and uplifting IVF journey milestone cards. They will be working their way through the stages in no time. 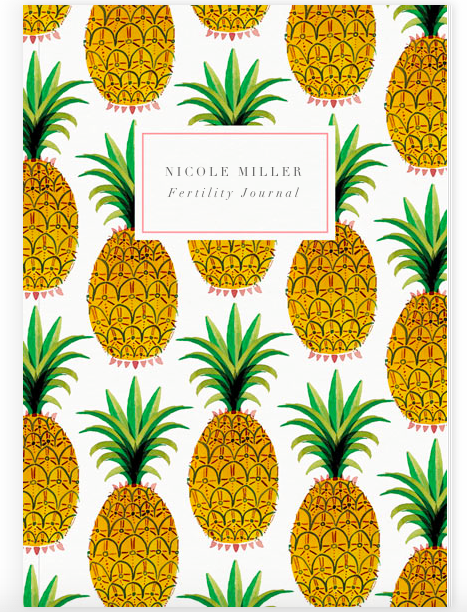 Journaling is not only a great way to document the IVF process, but it can also be a fantastic form of therapy. Expressing thoughts, feelings, fears and frustrations on the page can release them from the mind. But sitting down to a blank page in a journal is overwhelming. What the hell do I write? 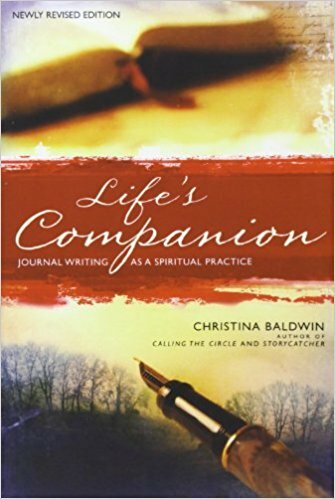 Accompanying the journal with a guide to journaling is a perfect pairing. This step by step guide to journaling contains exercises to get you thinking and writing, examples from other people’s journals and explanations of different types and styles of entries. To me, this is therapy on the cheap. Be warned, it is undoubtedly on the hippy end of the scale, so if the gift is for someone straight-laced (or completely sane) then maybe not. 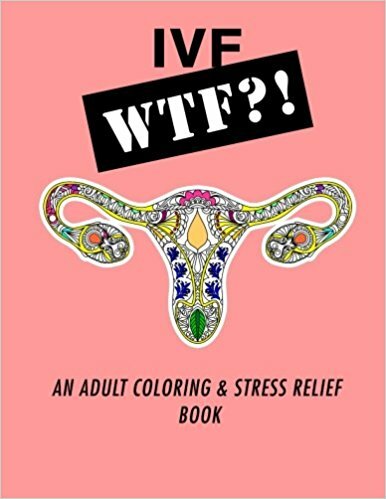 Help them to be informed about IVF over a nice cup of tea with this excellent and hilarious book. Cracking read. 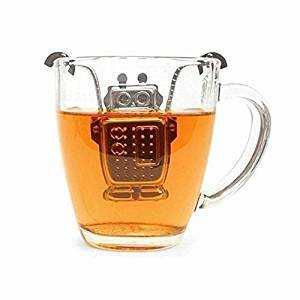 A perfect accompaniment to the Positive Pants mug is this delicious anti-stress loose leaf tea, sold from a shop in Winchester by a wonderful elderly lady who uses air quotes when referring to selling her teas on the ‘internet’. This tea is so scrumptious that I once caught my friend Aurelia eating it straight out of the packet. 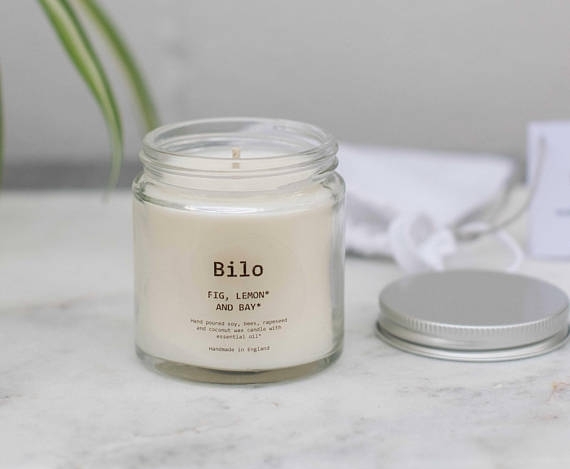 If you want to show your support with a one-off substantial gift, the below provides suggestions for IVF relevant presents. "Hold the baby safe!". 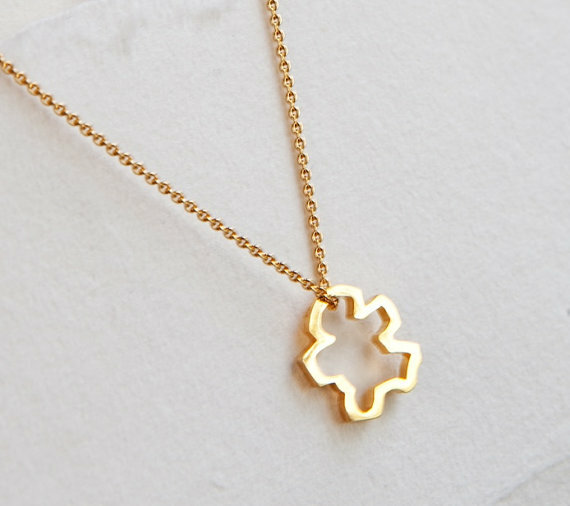 Tiny Chibi, which means "little one" in Japanese, drifts along on a 16" chain in 18k gold vermeil. Whilst not a direct symbol of fertility, it makes a change from the well known symbol of the pineapple and this necklace can represent the little one so desperately sought through the IVF process. This meditation program, which can be downloaded on to the recipient's phone for easy access anywhere, will help them to de-stress and gain confidence every step of the way, with short guided meditations that encourage the body to embrace the IVF process. A gift option is available that allows the audio package to be sent electronically directly to the recipient. This stress relieving mat contains thousands of comfortable, strategically-positioned, prick-free body-contoured Therapy Points (i.e. spikes!) that transfer gentle pressure on to the body's meridian lines to stimulate blood flow and flood the body with feel-good endorphins. During the stress of IVF, lying back and melting into the mat will release muscle tension and mental stress. Or stand or lie on the mat in the morning to get your blood and energy flowing before tackling those all important morning injections. A great brand for toxin-free beauty products (which is important for those obsessive about their egg quality ahead of IVF), this Dr Hauschka harmony kit is perfect for calming, soothing and pampering the body. Goodness knows it deserves it after the hormonal onslaught of IVF. For those who are giving up alcohol in preparation for IVF (and not everyone does!) but who also love a gin & tonic to unwind at the end of a stressful day, Seedlip's non-alcoholic gins are just the ticket. The duo gift set allows the recipient to test both flavours of gin, picking their favourite for future purchasing (hopefully when pregnant).